Sub-$1K International Purchases and GST - Any Experiences Yet? The Fleabay community discussions seem to represent a general morass of puzzlement, save for the apparent comments that nobody has heard of changes to the way parcels are being treated incoming. I haven't asked Shop4Parts if they will be collecting the GST. Also wondering if I use (say) Fleabay France to buy something destined for Australia, whether they will be obligated to collect GST. Re: Sub-$1K International Purchases and GST - Any Experiences Yet? It's got nothing to do with overseas suppliers, they won't collect anything. You will be required to pay the GST when the delivery arrives in Australia and goes through customs. That how I believe it's supposed to work, anyone who knows better feel free to correct. I've received today, goods from a UK sale processed on July 2nd (CC payment), so after the "start date" for whatever the changes actually are. There was no GST charged by the vendor, none collected en route (FedEx), and no VAT either. IOW, same old, same old. Have to wonder if for now that's how many transactions will continue. My business regularly buys software from the US and other places. This week I saw a $200 odd purchase from Norton’s for anti-virus that had GST applied for the first time. They collected the GST and noted the new rules on the invoice. It’s not a physical item but it’s goods so the same rules apply. There must have been an Australian aspect to the vendor or payment channel, though? If not, will it be something they eventually just pocket? If they've established a precedent they will need to uphold it for every transaction - and presumably remit each identifiably to the ATO. I'll play with a few options over the next couple of weeks, to see if there is any sense in it, as found. I saw something in the paper the other day that said one of the big US retail sites (Amazon maybe?) was rerouting all Australian users through its .au site, which is set up to handle GST. Just saw this on EB Spares web site. I cant wait till the ATO tries to get small businesses in places like Uganda or Venezuela to cough up the GST they have gathered from sales to Australians to hand over the money. Shop4Parts must be having a good chortle, their website only states that taxes etc are the purchaser’s responsibility. Buy something through Ebay - and they'll finger you for the GST (even though the seller is not going to get anywhere near the GST threshold of $70,000AUD worth of goods a year). This one was Symantec. I’m sure they have plenty of GST inputs as well. It's semi-related to the GST caper; in the vein of Amazon, Demon Tweeks has started geoblocking its UK site to Oz (per ISP) browsers. Whether it's Fleabay policies biting, or Brexiteer navel-gazing, I'm currently finding the Ebay UK second hand dealers much less enthused about selling to Australia other than by using the Global Schlepping Program - which inconveniently doesn't recognise the savings of multiple items purchased where post/pack is unlikely to change significantly due to extra items. I note, Demon Tweeks now has the option of which country and currency you're shopping or browsing in. That's good, perhaps there was a vociferous pack of angry bunnies. 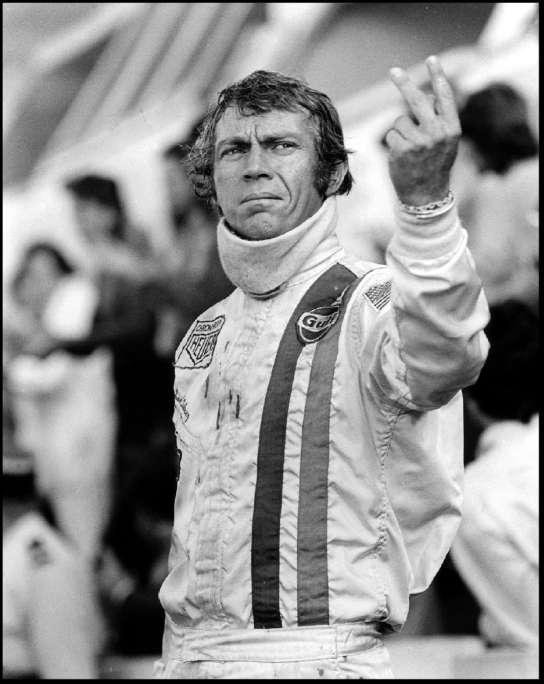 Fleabay have just skimmed me for £1.70 GST, however almost all the remaining Triumph car stuff I need can be bought from small UK vendors whose sentiment echoes the famous picture above. And I'm browsing LeBonCoin more too. First up my most recent Demon Tweeks / Oz Post experience. Bocks of shox arrived in the country. A week later I get proforma letter from Oz Post on behalf of ABF... allegedly no breakdown invoice with the articles (which, to quote the famous breakfast cereal advert “I find that very hard to believe”) so I have to clarify the position. I write to DT and ask for a certified copy of the invoice, printed to PDF. They oblige within 24 hours. Value of the goods is $950-odd, the rest freight. I follow the proscribed procedure to forward this to ABF and within half an hour receive an automated email saying my item has been approved for release. In other words, same old, same old. I note one of the French used parts brokers (proxyparts) is still happy sending to Oz, hors taxes. I mention this because like Spain and Portugal you can luck in with parts from a dry, warm region - never seen gritted or salted roads.